There are many fields of study included under the umbrella of mathematics. 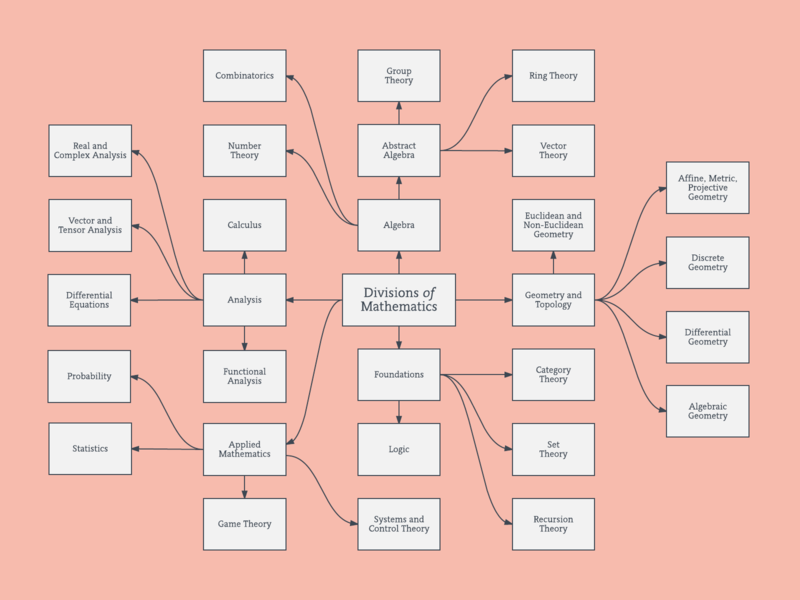 This math concept map shows the main divisions, such as geometry and applied math, as well as their subsets. To edit or download this math concept map template, simply register for a free Lucidchart account. Once you log in, you can change text, colors, shapes, and more.